This afternoon I had a pleasant trip into town with a friend. We went to the movies and watched The Help, then chatted over coffee at the newly refurbished cafe - Kitsch. 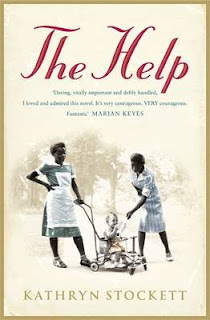 I recently read Kathryn Stockett's The Help and thoroughly enjoyed it. But sometimes when you go on to watch the movie it's disappointing. I'm pleased to be able to tell you, that wasn't the case with this movie. Yes, they changed a few things so it fitted a movie format, but nothing was lost in the telling of the story. My friend and I laughed and cried and left the theatre feeling like we could watch it all over again. Driving through town was an interesting experience too. The city is buzzing with Rugby fever. Flags flying everywhere and a general festive air. So many visitors, a good portion of them wearing the red and white of English supporters. Interesting that the English strip is all black now, but that's another matter all together! Have you been following the World Cup and if you have what team do you support? Being a Kiwi it's the All Blacks for me, although I'm not a serious fan by any means. At the Kitsch cafe the fire was roaring and my favourite 60's song - Eleanor by the Turtles - welcomed us. As the name suggests this cafe is devoted to all things kitsch. Formica table tops and 60's decorations everywhere. Models of Thunderbirds, pictures of The Beatles, LP records and the list goes on. If you live in Dunedin, or you come visiting, do check them out. I can tell you their caramel slice is divine. Whatever you chose to do this weekend, enjoy! I want to see The Help. It looks like an amazing movie! I haven't heard of The Help. There are few movies where the translation isn't lost. I must check it out. Haha! Hubby is into RWC so it can't be avoided, and there are flags flapping everywhere in town, including down our street, including in our garden! I'm sure you'll enjoy the movie, Joanne. There's nothing quite like a movie that makes you laugh and cry! Must give the cafe a whirl, sounds like my kind of place. The movie (and book) sound good too. Kay - yes, you'd enjoy the cafe it's the old Mannequin.